August 9, 2010 - The National Transportation Safety Board is devoting two days at its Training Center to offer guidance to aviation public affairs professionals on how to most effectively manage emergency communications following a major aircraft accident or incident. The training will be offered on October 7-8, 2010, at the NTSB Training Center in Ashburn, Virginia, (near Washington, D.C.) and is aimed at communications professionals working with airports, airlines and corporations with aviation departments. Representatives from the NTSB Office of Public Affairs will explain the process by which investigation-related information is verified and released to the news media and the family members of those affected by a major accident. Members of the national news media will be there to discuss how previous accidents have been covered and to talk about how social media is changing how breaking news is disseminated and consumed. 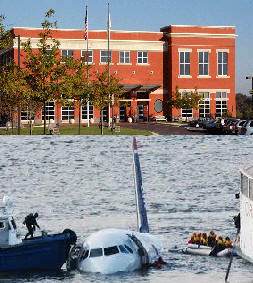 The Mission of the NTSB Training Center is to promote safe transport by ensuring and improving the quality of accident investigation through critical thought, instruction, and research. Communicating lessons learned, fostering the exchange of new ideas and new experience, and advocating operational excellence. Providing a modern platform for accident reconstruction and evaluation, utilizing its high-quality training resources to facilitate family assistance and first responder programs, sister agency instruction, and other compatible federal activity.